We always think that we need to supply documents the Embassy wanted to see in an application in order to get the visa. But there are times when the documents we need is not there yet or not there at all. So what do we do? Be honest. It is a wrong mentality that the Embassy will always expect all applications to be alike and complete. If for example, a birth certificate is not available at the time of the application, you can say on a cover letter that you have attempted to obtain the document by showing a receipt or payment receipt and that it will be available very soon. Do not engage to “Recto-made document” simply because you don’t have it. It will be a killer on the integrity of the application. You could be charged of deception that would affect your current and future applications. Be organised. If you can, ask someone to assist you in collating documentary evidence. From someone who works in an office environment because being organised in your submission of the application is sometimes the key in getting the visa approved. The Embassy knows if an application has been rushed and lack of structure. 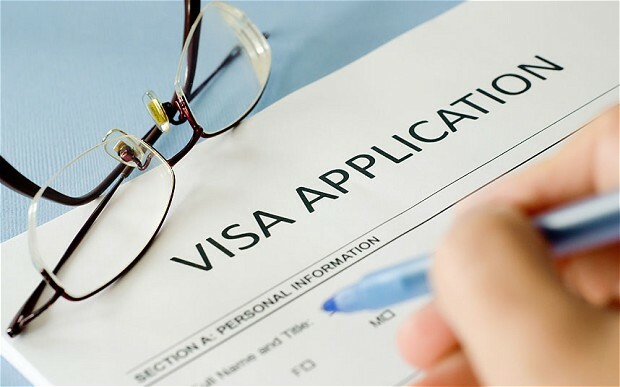 Do not submit a cluttered application and expect the Embassy to sort out your documents for you. Invest in post-it notes by putting labels on each set of documents especially if supporting documents are large in volume.Buy a good and sturdy plastic envelope. Put a cover letter to explain why a document is not available and have a checklist of all documents you have submitted and explain why those documents are there. Submit a correct form and pay a correct fee. There are many applications now that are made online and it is common that you after careful planning and the hassle of obtaining relevant documents, lose out because of submitting a wrong form or fee not paid in full. Read the instruction properly and follow its guidelines. Do you have an office where I can meet you? Or shall we be meeting in McDonalds or public places? Be wary. This indicates that the person is either not legally qualified or just doing without the knowledge of his or her office. When you complain, you will not have leg to stand on because you allowed yourself to be duped. Do you issue a receipt for my payments? Do I pay your company’s bank account or your personal account? Have you handled this kind of case before? Can I see some of your clients’ profiles? Can I speak to one of them? Can I check your website online? What do your clients say about you and your services? Submit Application via Recorded Delivery and keep the receipt. Be punctual. Arrive early at the date of the interview. The Embassy does not tolerate “Filipino time” as they have heard it all: traffic or alarm did not go off etc. Good grooming properly dress up. If you are applying especially to visit the country, then make that first impression count. Do not come with lousy shirt and bad hair. The Immigration Officer is looking at the documentation you sent off to them but at the same time you have to persuade the Embassy that you are who you say you are. You said you are going to visit, then look like a visitor not someone whose intention is to find employment. Don’t bring any CV or Biodata or Resume at your luggage if you applied as a visitor because they can see on their system the content of your checked-in luggage. If they found out that your intention is to work, then the border immigration officer may suspect that you may overstay and you will not comply with the condition of your visa. They have the power to send you back home right there and then. Don Magsino MBA is a student of Oxford Brookes University at Post-Graduate Degree in Law in Oxford, England, UK. He is a graduate of Ateneo De Manila University Graduate School of Business. He is a qualified and a practicing Immigration Lawyer in the UK. His mobile phone is 07446888377 / Direct Line: 0207 316 3027 Email is don@stanfordlawassociates.co.uk. His London office is located at Regus, 239 Kensington High Street, London W8 6SN. He is accredited by the Law Society in England and Wales and regulated by the Office of the Immigration Services Commissioner (OISC) Level 3: highest level in immigration professionals. He has represented clients in the First-tier Tribunal, Immigration Detention Courts and Deportation and Bail Hearings and to the Upper Tribunal and won many difficult cases in immigration law in the United Kingdom.